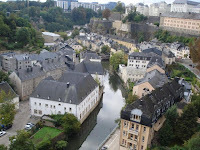 Back from a holiday leading up to the Independence Day weekend in the U.S., I’d like to focus this week on Luxembourg. Luxembourg (officially the Grand Duchy of Luxembourg), like Belgium, grants domestic IP owners an 80% tax exemption on income from the exploitation of qualifying IP. This may often bring a company’s effective tax rate to just over 5%. The IP that is the source of the income may be developed by the company itself or acquired from a third party. Perhaps these tax benefits have helped Luxembourg achieve its status of having the highest Gross Domestic Product per capita in the world? Only 2,586 square kilometers and bordered by Belgium, France and Germany, it’s no surprise that Luxembourg’s official languages are Luxembourgish, French and German. Sorry, native English speakers, you’ll need to brush up on your Romance or Germanic language skills prior to your visit. 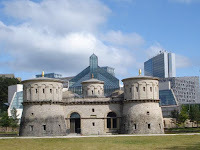 The Casements du Bock, a UNESCO World Heritage Site, is a network of underground fortifications, originally consisting of 14 miles of defensive passageways. 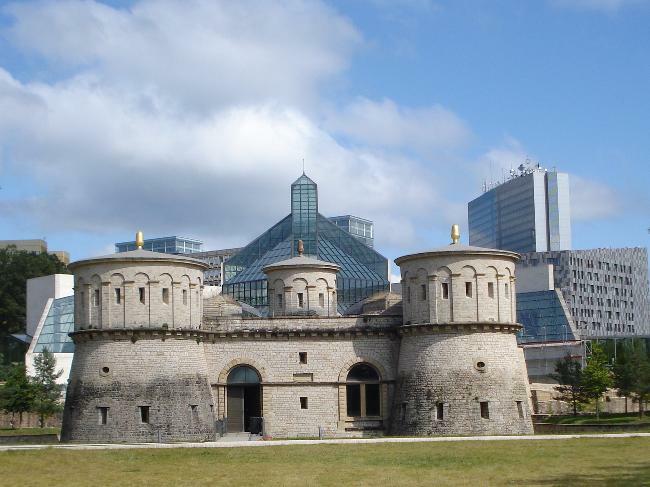 This site, which dates back to 1644, today features an archaeological crypt that presents visitors with an audiovisual presentation about the site’s history. A section of the Casements has been converted into a summer meeting facility for up to 100 people – a very interesting and unique location to book any client events you might be organizing. Where to stay? Le Royal Luxembourg is a great option for a business traveler, with rooms and suites, a business center, two restaurants, one bar, a beauty salon, spa and fitness center. Luxembourg has more Michelin-starred restaurants per capita than any other country. I won’t suggest any here; you can choose based on the type of cuisine that suits your mood here. Conveniently, Luxembourg City is a “HotCity” that is WiFi friendly. Connect to the city’s WiFi network free for tourism-related services or for a relatively low fee for all other online needs. Unless you’re a long distance runner, like me, you should probably try to avoid traveling to Luxembourg City for business in late Spring, when the ING Europe Marathon takes place in Luxembourg City, shutting down many streets and filling hotels with marathon runners and their families. In 2011, the race is scheduled for June 4. Finally, wine lovers should take a side trip to the Moselle Valley, the country’s wine region. There are many vineyards; a few to try are listed here. Or hide away for a day (or a few) at a spa retreat and casino at Mondorf Domaine Thermal.